Block by block, students in Russia are snapping together the robotics needed for future war. 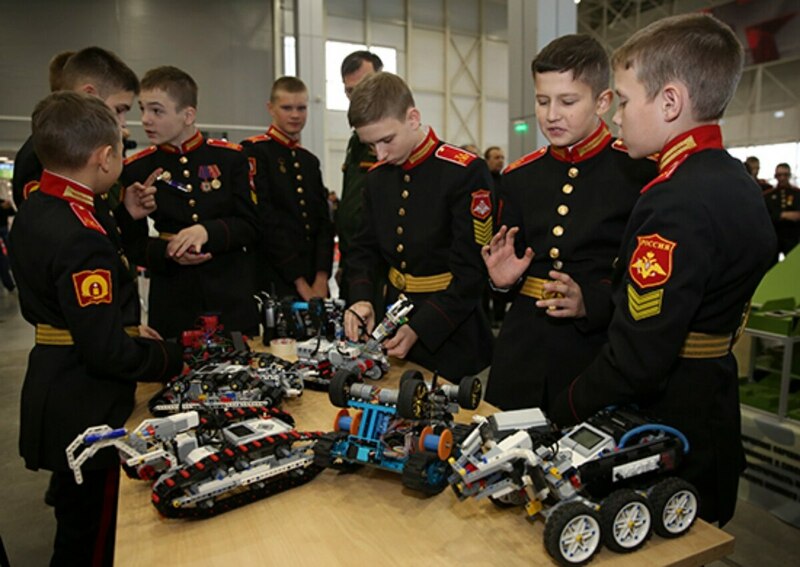 Earlier this month, Russia’s Ministry of Defense held a second annual contest for young roboticists. The competition, which attracted 300 students from 27 schools below the university level, is part of a broader effort to build a homegrown robotics expertise. To that end, the Ministry paired students with LEGO robotics kits and asked them to design vehicles that could handle a range of terrain, including slopes, trenches and minefields. The Young Robotics competition was run by General Directorate for Research and Development and Technological Support of Advanced Technologies (Innovative Research), or GUNID, a military research entity with no direct analog to the United States. Its chief function is exploring new military technologies and applications. Robots built by the students, LEGO or otherwise, competed in a set of challenges familiar to military designers. There was the obstacle course, which included climbing ramps, navigating ravines and hedgehogs, and even firing lines. There was orientation in place, a robot shooting range and even another robot biathlon. The competition is part of a broader pattern of actively building a robotics pipeline for the future Russian military. This has included everything from design competitions for underwater robots, special degree programs, and ground vehicle concepts promoted by local industry. Altogether, the effort is essential if Russia hopes to reach the levels of autonomy in vehicle design imagined for the battlefields of the 2030s and beyond. Those regiments, having grown up with the future Tsar, later went on to serve as an elite force, pivotal in many battles against the modern armies of Russia’s rivals. Bendett sees these robotic competitions among kids serving the same purpose — growing a patriotic STEM force for the future Russian military.